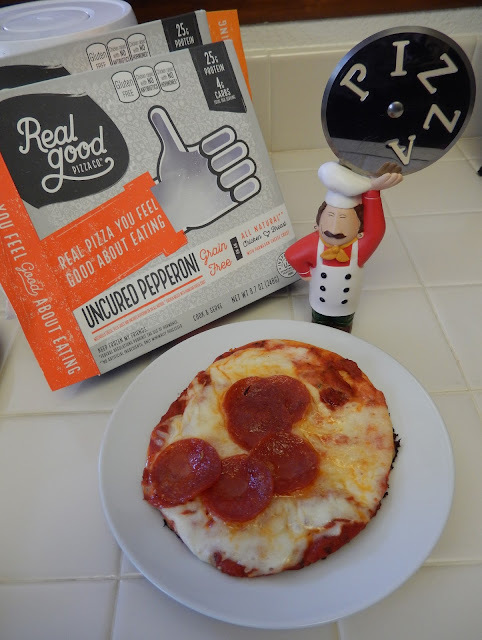 Have you tried Real Good Foods Pizza yet? It's frozen pizza with a crust made out of all-natural chicken & Parmesan cheese and it's really good! Obviously it's high in protein and low in carbs since the typical white flour carby pizza crust is replaced so it's perfect for us post weight loss surgery folks, the low carb or keto dieters and those that need a gluten-free diet. It's got that bendy, Neapolitan thing going on (East Coasters will get this) and I literally forgot as I was eating it that it was a chicken crust. They come in 3 flavors: Three Cheese, Pepperoni, and The Supreme (Italian Sausage & Veggies) (I've tried 2 of the 3 and enjoyed them both) but you can really create your own flavors just by adding toppings from home. The Three Cheese would be a great vehicle to use up leftovers... sauteed mushrooms or onions, sliced olives, leftover meatballs, taco meat, whatever you have bumping around the fridge. Stats: They are personal 5" size (I ate 2 slices and was full), calories range from 240 (Three Cheese) to 270 (Pepperoni or Supreme) per serving (1/2 the pizza) 25 grams of protein and only 4 grams Carbs. You can prepare it a couple of different ways per the box instructions but here's how I did it: the pizzas come on a little cardboard circle, wrapped in plastic and in a box. Remove from box and plastic and place the pizza on its cardboard circle on a microwave safe plate and nuked it for a minute on high then tossed it into a saute pan to brown/crisp the bottom. Verdict: It was a winner, winner, chicken pizza crust dinner (sorry could resist.) Very tasty. They are a great option to have in the freezer for nights you want something quick and easy... those hot summer nights you can be eating in less than 10 minutes... maybe add a salad or veggies & dip for a complete meal. Where to find: They have a product locator on their website to see what stores in your area are carrying them or you can order direct from the company online (P.S. Feel free to use my coupon code: eggface to score 10% off your order.) Let me know what you think! Ooo, thanks for the tip! I just bought the plain cheese one from my local grocery store, and I'm super excited/curious to see how it turns out! Really liked this. Supreme is my favorite. Great way to get pizza without carbs. I do miss the crunchy crust, but overall awesome. Great heads-up. I went and ordered 15 of the smaller size (5 of each kind) as soon as I read this review. 1. Baking tasted really good, but the crust didn't have much of a taste. 2. Microwaving and using the skillet method was also good, but I thought something was lacking in mouthfeel. 3. On a whim, I tried cooking these on the grill, and I can tell you I think they turn out the best this way. 400 degree grill, cook from frozen for six minutes, then flip 90 degrees and cook another six minutes. Perfectly done pizza, browned crust, just overall delicious. John, As soon as this hellacious heatwave is over I will be outside tossing one on the grill. How cool! Thanks for the tips!! I have a challenge for you. 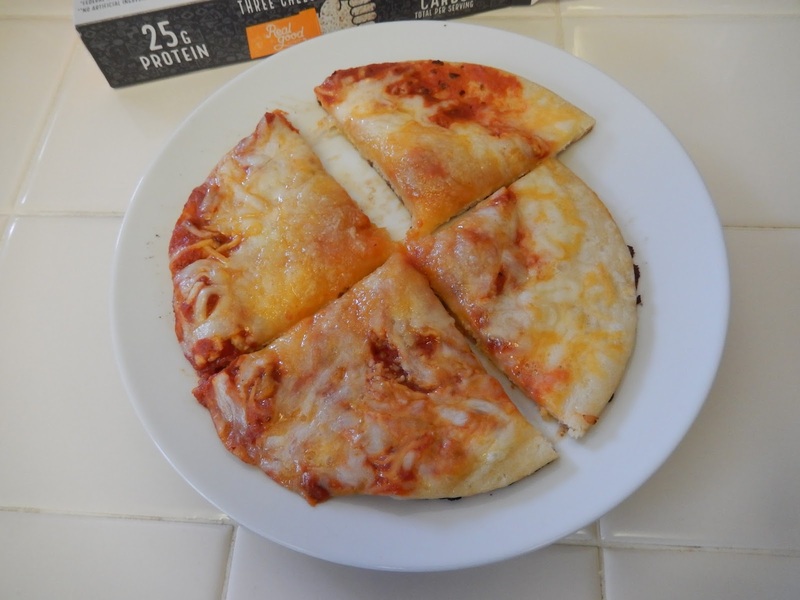 With all of the other things you make with protein powder and spelt flour or mutigrain pancake mix, can't you come up with a real pizza type dough. I love your blog and recipes. I'm almost 3 months post surgery and really miss bread and carbs. 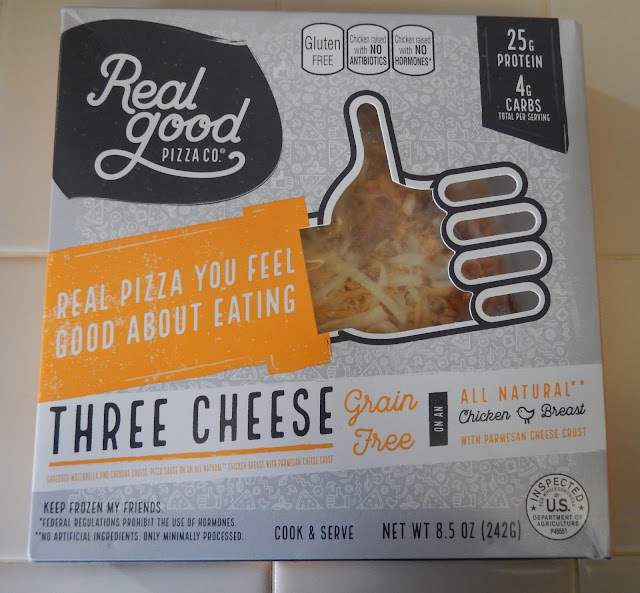 I tried the Real Good Foods Pizza, it was ok but still not what I crave. Tortillas don't do it either. Help me if you have any ideas. Did you buy any locally? I’d like to try them before placing an online order, but can’t find a store in the Temecula Valley region. Maybe the store locator isn’t working properly? Hey Tamara, Yes, Ralph's on 79 in Temecula carry them! Fantastic! I’ll be nearby this week. Thanks!